When I wasn’t walking the Ridgeway and drawing, or going round the historic sites, I did find time to visit a few other places! I spent a lovely day in Salisbury, including going to festal evensong at the Cathedral, which was beautiful. Salisbury seemed a really nice shopping town and I was very impressed with their Park & Ride scheme. All day parking on the Beehive Park plus return bus fare to the city centre was only £2.50, and the buses ran in both directions every 15 minutes. 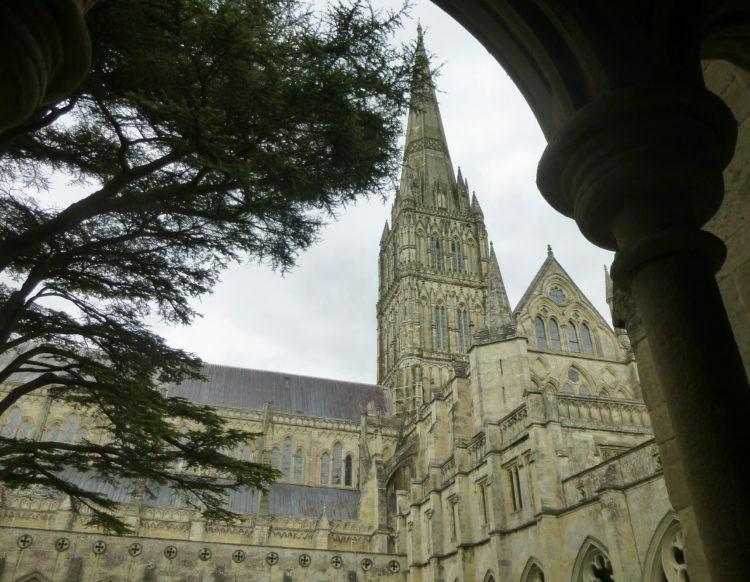 If you are visiting Salisbury over the summer I recommend having a look at their P&R website, which gives sat-nav codes for all their sites, plus times, and info on where to catch the buses back. 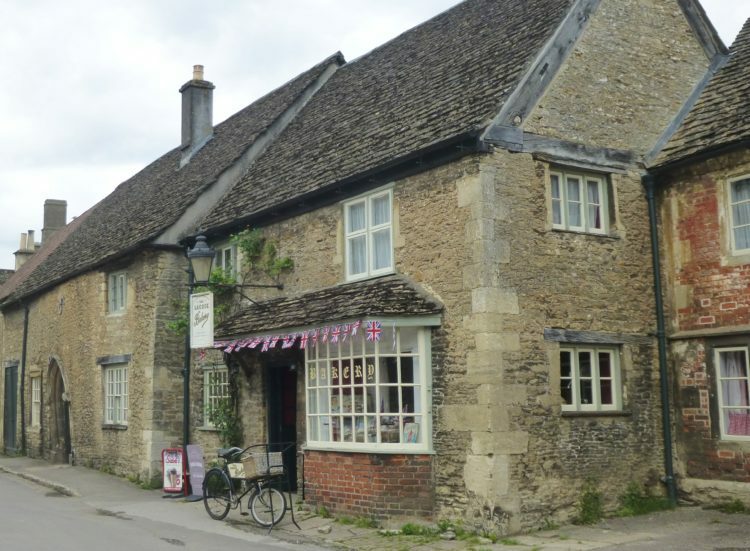 I spent an afternoon in Lacock at Graham’s recommendation – and it is an extraordinary place. Quite impossibly picturesque! Used as a film set for Pride and Prejudice and Cranford, amongst many period dramas, it is hard to believe it is a real village where real people live! 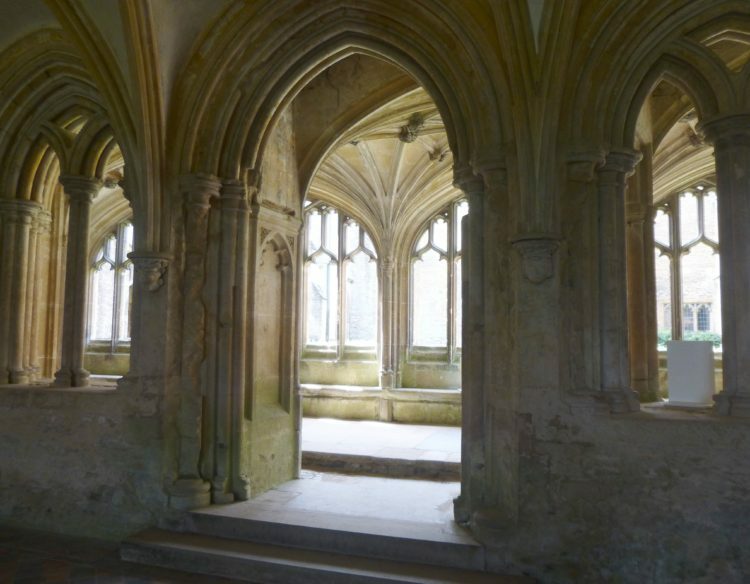 The ground floor of Lacock Abbey – owned and run by the National Trust – still takes the form of a medieval abbey, with cloisters which were used in the filming of one of the Harry Potter films. 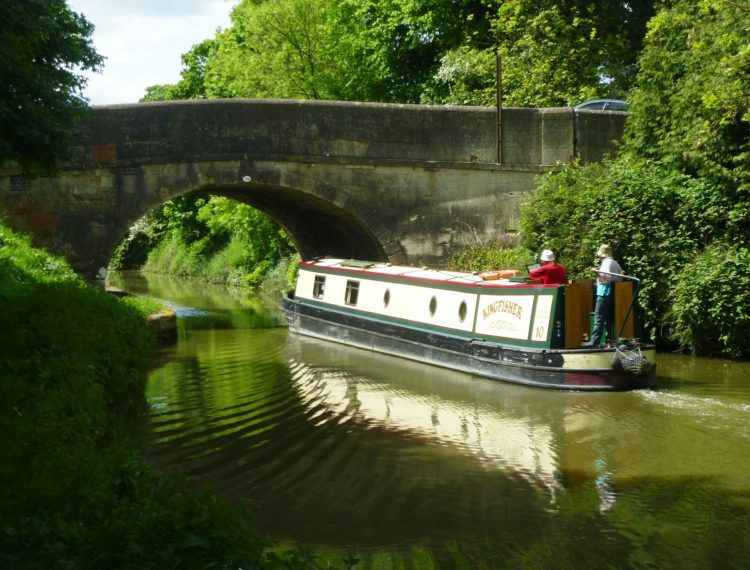 One hot and sunny afternoon was spent in Devizes, where I had a lovely walk along the Kennet and Avon Canal – and really wished for a canal boat! Now that I’ve been home a few days, it’s nearly time to deliver all my work to the Naze Tower for my exhibition! As well as all the paintings I am taking 5 each of 22 different designs of my greetings cards, and 10 different canvas prints all of which I’ve been sorting, wrapping and labelling in the last couple of days.